Location: South Goodrich Park, on the corner of Parkview Dr. and High St. 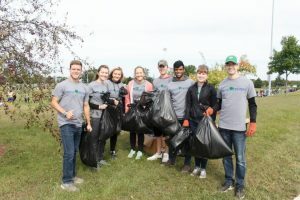 The 2018 Protect Wisconsin Waterways Sweep was a huge success in Milton! The Protect Wisconsin Waterways team visited Goodrich Park and other areas in Milton. A total of eight volunteers helped collect over nine garbage bags full of trash. In the park nearby, youth football teams were playing at the same time the volunteers and Protect Wisconsin Waterways’ representatives were in the area. 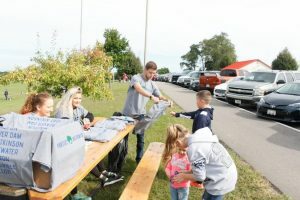 The volunteers interacted with family members attending the football games to share information about the goal of our organization and what the 2018 Protect Wisconsin Waterways Sweep entailed. Visiting the youth football fields gave us many quality interactions with community members. Conversations about the quality of our waterways is a great way for us to better understand the values community members hold. These conversations allow us to personalize our message to the community-oriented individuals.